In the heart of the Canadian Badlands is “Drumhellers’ Best Kept Secret” Newcastle Country Inn, Bed and Breakfast, Hotel. A beautiful Country Inn Bed and Breakfast where weary travelers can rest in a clean, comfortable, quiet, safe environment and enjoy a satisfying full continental breakfast before heading out for a busy day of sightseeing. The Country Inn has two decks where you are welcome to relax, visit, and enjoy the sunshine. A consistent winner of Housekeeping Awards and Service Excellence awards. 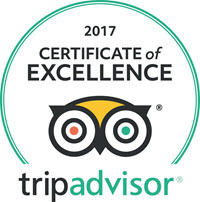 Consistently rated as 4 to 5 stars and #1 or #2 on Trip Advisor in Drumheller. Seniors Love Us!! Adult Accommodation. Not a suitable accommodation for children. We look forward to seeing you soon!